The blooms of a lily last from seven days to three weeks. You can enjoy the presence of a beautiful lily flower in your room or garden for a long time. For your loved ones you need that pleasant look and its presence valued. 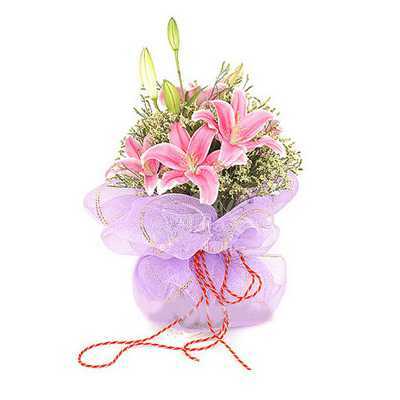 This designer bunch of 6 glorious pink Lilies with seasonal fillers make for a wonderful surprise for your loved ones on any occasion.